As highly requested from all you lovely readers I’ve decided to upload an updated skincare routine. As through my good days and bad days my skin has massively improved from frequent breakouts to hardly any! As I started to notice my skin was frequently breaking out I knew I had to try and fix it, so I decided to think about what I could do not just by using products but also taking a look into my lifestyle – which honestly plays a large part in this! I hardly used to drink any water and have quite a lot of sugar which clearly didn’t balance out. So without a thought I stopped having sugar and started drinking plenty more water to clear out all the toxins and allowing the inside of my body to be much more hydrated and healthy. At first you may think Kiran are you crazy? No sugar..but honestly it’s the best thing I’ve ever done! Now onto the products which have helped my skin stay smooth, less oily and hydrated! I try not to use products on my skin everyday as personally I think every couple of days is much more effective as the use of products consistently can also have a negative impact on your skin. Cream Cleanser – Bee Good. I have used this cleanser for a quite a while now mainly because it’s a good consistency and absorbs into my skin easily without irritating it as I have quite sensitive skin but I don’t use this on a day to day basis but every other day. It leaves my skin looking and feeling fresh. 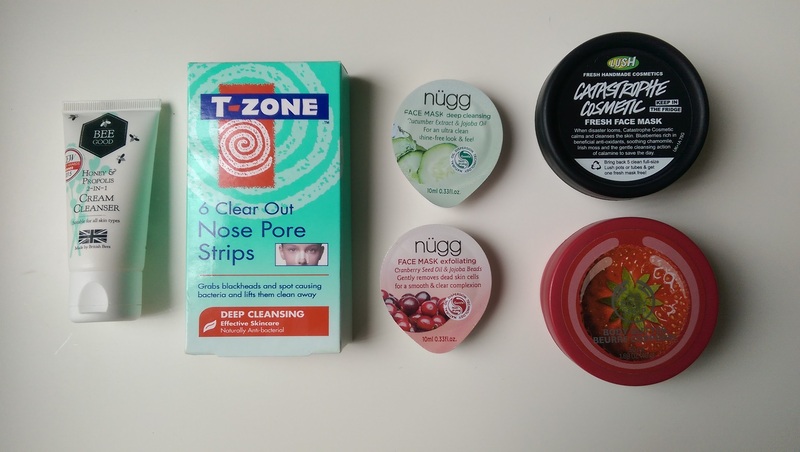 Clear out face pore strips – T Zone. I purchased these strips last month and once I had used them it made me think where have you been all my life? As these strips allow your blackheads to be removed as well as any oil instantly. They’re easy to use give incredible results in a small space of time. 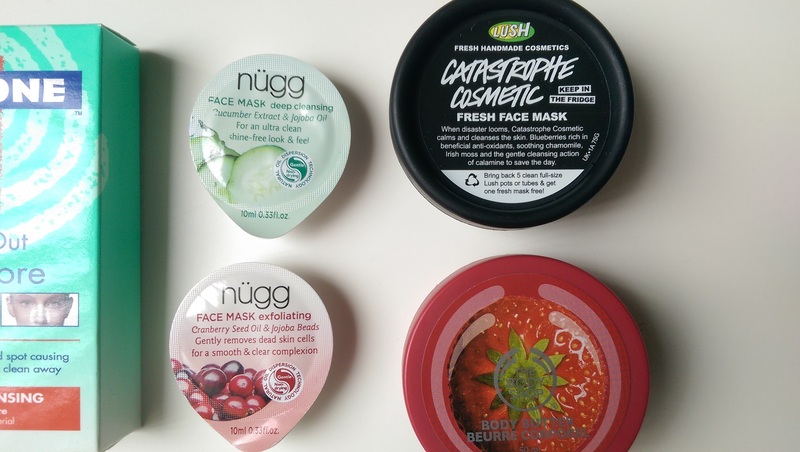 Nugg Beauty face masks – Selfridges. Both the exfoliating face mask and the deep cleansing face mask they both provide my skin with 2 different services which are both as important. Any redness is removed by the deep cleansing face mask and the exfoliating face mask hydrates the skin immensely. Again, I don’t use face masks as frequently as I use the cream cleanser I prefer to apply a face mask a month if my skin isn’t too bad if it is I apply a face mask twice a month! Catastrophe Cosmetic face mask – Lush. Another face mask I have been alternating between is this one from Lush which I think is a perfect match for my skin. Containing blueberries, calamine and chamomile, rose, and almond oils to soothe and soften the skin this contains vitamins as it contains wholesome blueberries which is why I think it’s great! 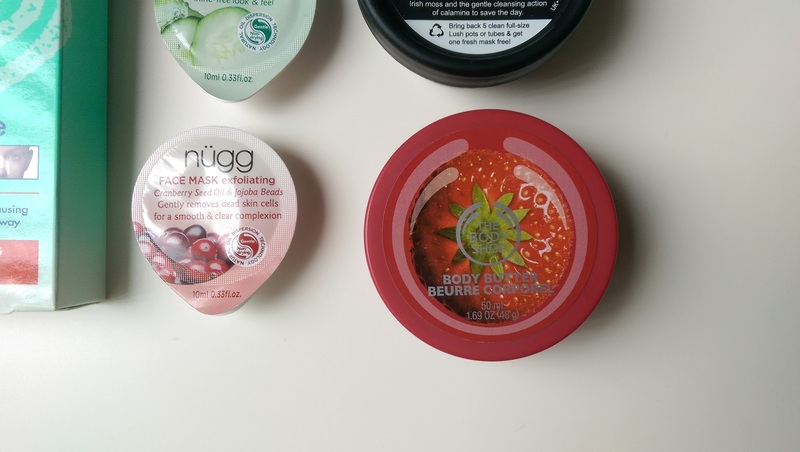 Strawberry body butter – The Body Shop. This is perfect if you have normal dry skin as it moisturizes perfectly and doesn’t feel heavy at all it’s quickly absorbed and long lasting which I love! What is your current skincare routine? Comment below. Awesome article! If you would like check out my blog: https://lifeofjustinblog.wordpress.com Chow! The nugg masks sound amazing!